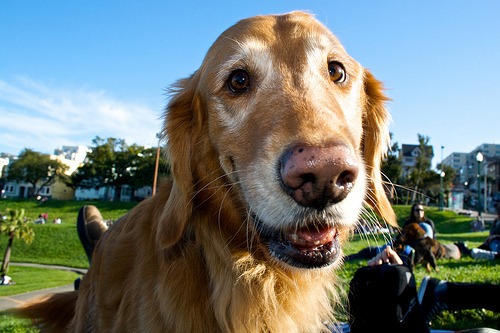 San Francisco, California, is a wonderful city full of beautiful parks and many off-leash areas for dogs. Being a very hilly city, most of these parks give excellent views of their surroundings. Alamo Park is located at Alamo Square and the Haight. Dogs must remain on leash if they are in the eastern part of the park, but are free to run off leash throughout the western part of the park. The remainder of Alamo Park offers people great hilltop views of San Francisco, as well as a tennis court, walking trails, flower beds and a playground. Bernal Heights Park is on top of Bernal Hill, and is an off-leash dog park of over 35 acres. There is not much vegetation, but there are beautiful panoramic views of the city. The park has two paved paths as well as some dirt paths for hiking. Golden Gate Park is a famous park in San Francisco, and it is frequented by all types of locals and tourists. Most of the park areas require dogs to be leashed, but there are four different off-leash dog runs throughout its premises. It is a big park, so it is a good idea to bring a map if you are trying to find one of these off-leash parts. Buena Vista Park is located at Haight Street and Buena Vista Avenue. It is over 35 acres, and is actually the oldest park in San Francisco, having been founded in 1867. Today, it remains one of the most wooded areas in the city, and dogs are allowed to walk around off-leash. It is a great place for hiking, but there are not open fields for dogs to frolic. Crissy Field is a park of over 100 acres, in the Marina area, where dogs can run off-leash. 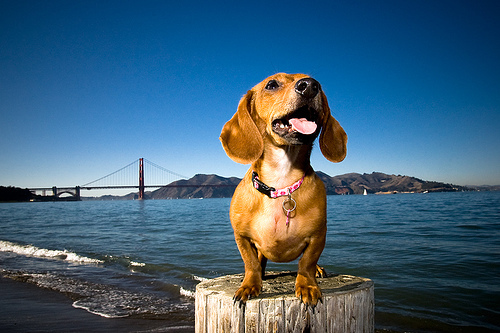 There are great views of the Golden Gate Bridge and places for dogs to play in the water. Dolores Park is a very urban-feeling park located in the Mission district, and is a large patch of grass that offers scenic views of the skyline. 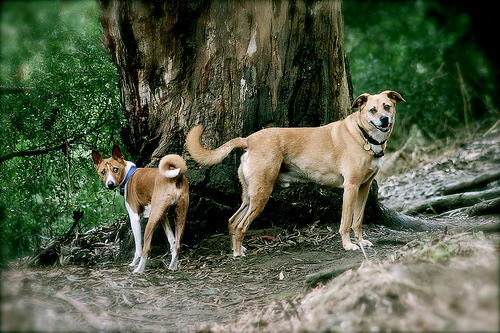 Dogs can run around off-leash. 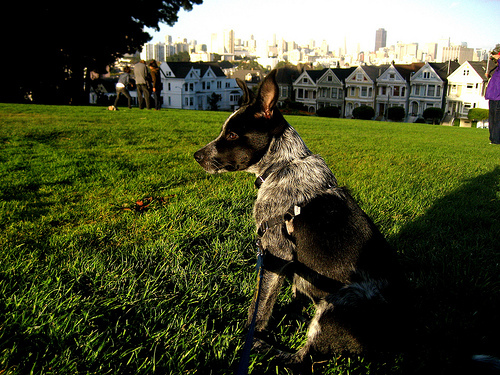 Alta Plaza Park is located in Pacific Heights, and features an off-leash area in its eastern half. The rest of the park has a playground, tennis courts, fields and walking trails. You missed the Ocean Beach small dog walk, (off-leash), every Saturday at 10 a.m. across from the Beach Chalet. We all walk on the beach to right below the Cliff House.